A major part of the world population suffers from water scarcity and live in unserved electricity regions. The use of water pumps diesel engine is a high cost it depends on the fuel supply and requires regular and costly maintenance. Solar energy is available in abundance and free. 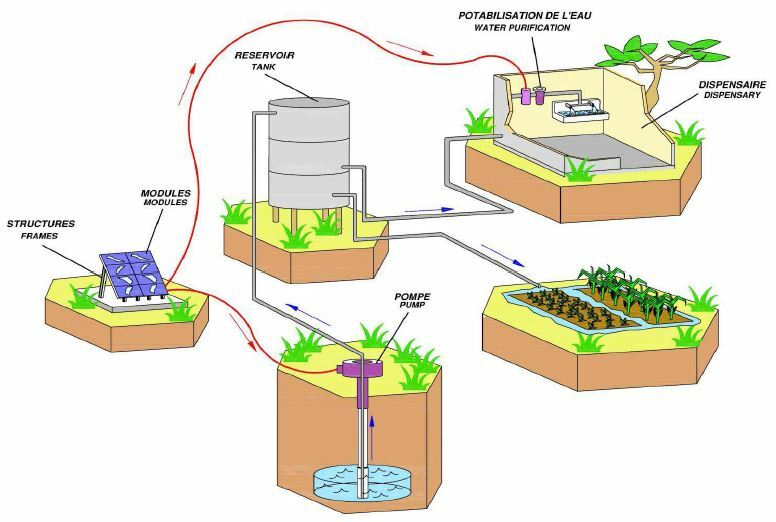 The water pumps powered with photovoltaic panels are simple to use and reliable economic and non- polluting the environment. Solar pumps provide to humans, animals and cultures the water they need. The systems of UV treatment and chlorination powered by solar panels allow health centers to provide good care conditions. SOLARCOM France has developed parallel "SHP" hybrid solar by combining various sources of additional energy for electricity generation in isolated and rural sites. Photovoltaic - Wind Turbine - Generator Set with storage battery. A storage battery is essential for the production of electricity at night and during periods of non sunshine. Generator, waiting is requested for a quick recharge batteries or to ensure continuity of service. SHP system provides high reliability in operation and operational flexibility and operating gain. 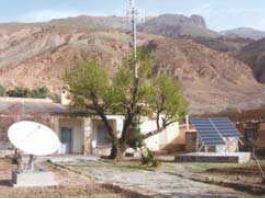 The use of photovoltaic solar energy potential and generator for electricity generation is proving to be profitable in remote areas fed by a generator. SOLARCOM France has developed a DIESELSOL hybrid system (Solar Photovoltaic (PV) Generating Group (GE) for supplying a load to domestic (rural electrification) where conventional electrical distribution network is no existent. The DIESELSOL configuration causes a very significant fuel economy during sunny days. Indeed, 40% of GE consumes less fuel. In periods of sunshine, the PV generator power takes over the operation of GE reducing its consumption and its maintenance. Despite the implementation of public cellular networks, few organizations still use independent communication systems. Mainly safety and security organizations use such communication systems. The related infrastructures often require solar power. Most of these networks work on analogue technology, there are two digital standards currently in use TETRA: (Europe) and APCO25 (USA). VSAT is the acronym for Very Small Aperture Terminal. It is a small terminal that can be used for one way and/or interactive communications via satellite. VSAT networks offer value-added satellite based services capable of supporting internet, data, video, LAN, and voice/fax communications. Many countries are implementing or operating VSATs to extend their national telephone network in remote areas. A large majority of such regions are poor and geographically isolated, and the sun is often the only source of electricity available. 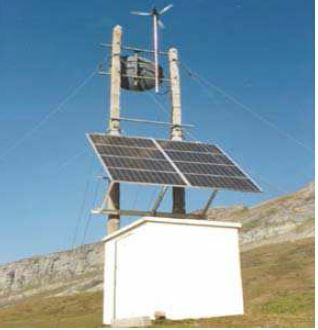 Solar powered VSATs are widely used for rural telecom, disaster recovery, and off-shore network.